You may have heard about the "twin effect," a correlation between taking birth control pills and twinning. It is theorized that if you conceive shortly after you stop using birth control pills, your chances of having twins increases. While using birth control pills, ovulation is suppressed. When they're discontinued, it's thought that the ovaries may superovulate, releasing more than one egg in a cycle and increasing the opportunity to conceive dizygotic or fraternal twins. This concept is primarily based on a 1977 study published in the New England Journal of Medicine that showed women who got pregnant shortly after stopping oral contraceptives were twice as likely to have twins. These twins were generally dizygotic (fraternal), rather than monozygotic (identical). Dizygotic twins form when two separate eggs are fertilized by two separate sperm, supporting the idea that the ovaries were releasing multiple eggs in response to stopping contraceptive pills. According to the study, after being off the pill for several months, ovulation should return to a normal pattern of one egg per month, and the chances of twins are reduced to normal levels. The "twin effect' hasn't been researched a whole lot since that 1977 study in the New England Journal of Medicine, and what little research there is has been mixed. One 1989 study even concluded that getting pregnant within a year after taking oral contraceptives slightly increases your chances of monozygotic (identical) twins. Yet another large study in 1987 showed no association between twins and taking oral contraceptives. Anecdotally, many moms of twins cite getting pregnant shortly after stopping birth control pills as the reason they became pregnant with twins. Genetics: Some women may hyper ovulate regularly and there seems to be a gene, or possibly multiple genes, that causes them to do so. Although both men and women carry the gene, only women ovulate, so a woman with the gene who hyper ovulates may have fraternal twins. A man with the gene wouldn’t be more likely to have twins, but he may pass the trait to his daughter, and maybe she’d be a candidate to have twins. Simply put, a woman can inherit the trait to produce more than one egg from her mother or her father or from both parents. Family history: Women who have conceived and borne several children already may be more likely to have twins. While the previous pregnancies don’t cause hyperovulation or cause twins, it’s possible that the mother’s womb is just more hospitable to sustaining a twin pregnancy. Maternal age: As a woman grows older, she is more likely to produce more than one egg at a time. This might be the body’s accelerated attempt to reproduce before time runs out. Women over the age of 30 are more likely to have twins, and the rate increases even more after the age of 35. Height and body mass index (BMI): Taller women have a higher than average rate of twin pregnancies. The reasons aren’t particularly specific, but perhaps it's because increased height is associated with better nutrition, or the additional height provides more room in the womb, making a multiple pregnancy more likely to thrive. Women with a BMI of 30 or above are more likely than average to have twins, while women with a BMI of less than 20 are less likely. Race: Women of African descent produce a higher number of twins than women of Asian descent. Smoking: If you smoke, you may have a higher risk of having twins, but studies are limited on this correlation. Campbell D, Thompson B, Pritchard C, Samphier M. Does the Use of Oral Contraception Depress DZ Twinning Rates? Acta geneticae medicae et gemellologiae: twin research. 1987;36(3):409-415. doi:10.1017/S0001566000006176. Hoekstra C, Zhao ZZ, Lambalk CB, et al. Dizygotic Twinning. Human Reproduction Update. January 1, 2008;14(1):37–47. doi:10.1093/humupd/dmm036. 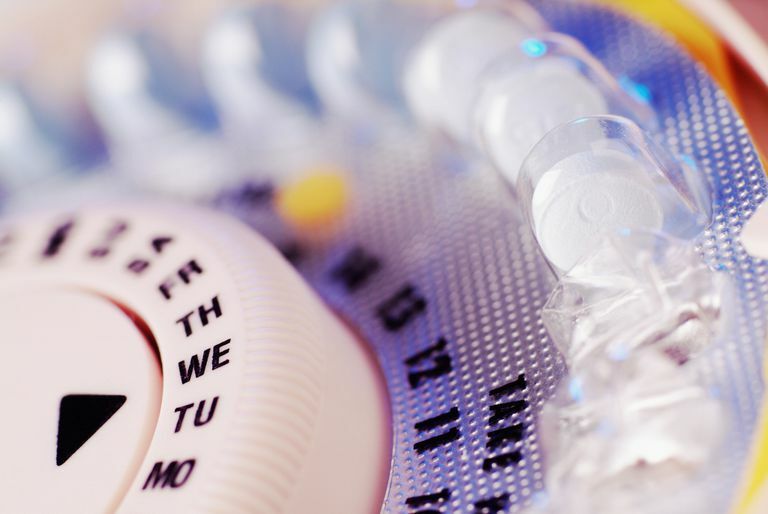 Murphy MF, Campbell MJ, Bone M. Is There an Increased Risk of Twinning After Discontinuation of the Oral Contraceptive Pill? Journal of Epidemiology and Community Health. 1989;43(3):275-279. Rothman K. Fetal Loss, Twinning and Birth Weight after Oral-Contraceptive Use. NEJM, September 1, 1977;297:468-471. doi:10.1056/NEJM197709012970903. Fact or Fiction: Do Twins Skip a Generation? What Are the Odds of Having Twins? How Can Parents Tell Their Twins' Zygosity? How Do Semi-Identical Twins Occur? Will I Have Twins? What Are My Chances of Having Twins? Can Identical Twins Be Different Sexes?